Who likes a fun holiday gathering? St. M and I thoroughly enJOYed the first of the seasonal gatherings last evening with dear friends at a local institution known for their award-winning cuisine AND seasonal decorations. It was everything and so much more! From the food and festive atmosphere to the wonderful fellowship with friends, we savored the sights, sounds, smells, and tastes during this extraordinary gathering…what a great Christmas experience and new tradition in our adopted home state! What is one of your more memorable or favorite Christmas gathering stories? 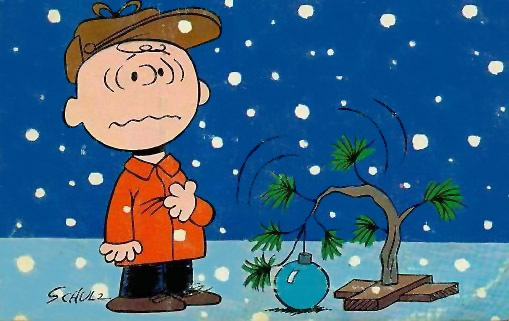 Just like Charlie Brown who attempts to discover the true meaning of the season by gathering with his friends, he is not always excited about holiday gatherings. He does his personal best to “make it work.” Call it twisted humor, but I identify with him at times. Most of us relive certain stories of family holiday gatherings–the good, the bad, and the ugly–with less than festive memories. If we’re completely honest about it, perhaps we’ve secretly laughed our way through a holiday movie like Christmas Vacation and thought, “Oh mercy, that’s us!” While some of these events provide positive, funny stories and personal memories, we can also recall those embarrassing or uncomfortable events as well. As a wise writer once noted: “The way you spend Christmas is far more important than how much.” So as you gather together during the holidays with those you hold dear, herre’s hoping you take a deep breath and a moment to reflect, revisit, and share holiday gathering memories; it’s a great conversation starter too! And if you don’t have any, here’s hoping you make some new ones this year! This entry was posted in Christmas Question, Personal Reflections. Bookmark the permalink.